C1662. KIRILL KONDRASHIN Cond. NDR S.O. 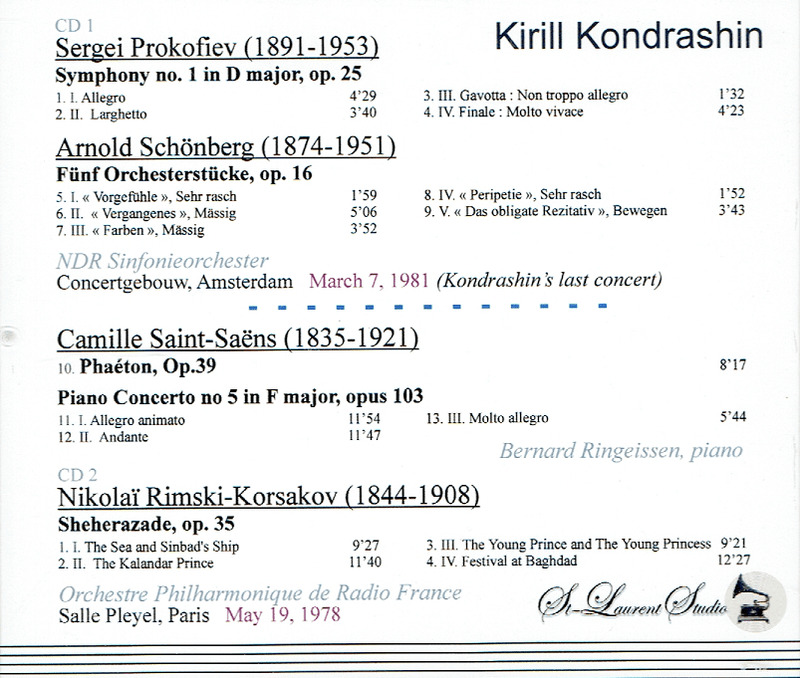 : 'Classical' Symphony #4 in D; Fünf Orchesterstücke (Schönberg), Live Performance, 7 March, 1981 [Kondrashin's last concert], Concertgebouw, Amsterdam; KIRILL KONDRASHIN Cond. NRDF S.O. 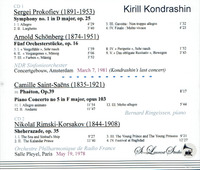 : Schéhérazade (Rimsky-Korsakov); Phaéton; w.BERNARD RINGEISSEN: Piano Concerto #5 in F (both Saint-Saëns), Live Performance, 19 May, 1978, Salle Playel, Paris. (Canada) 2-St Laurent Studio YSL T-714. Transfers by Yves St Laurent. 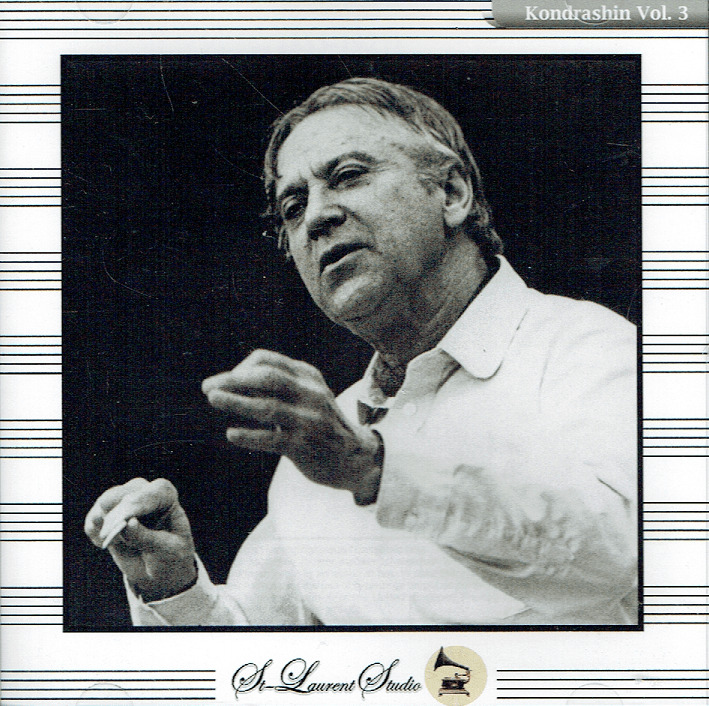 "Kirill Petrovich Kondrashin internationally was the best-known conductor of the Soviet Union and also the most prominent one to emigrate from that country. He was known for vigorous and solid performances of a wide repertory, particularly the Russian masters. In 1960 he was named artistic director of the Moscow Philharmonic, and as such participated in another piano concerto blockbuster recording of the great Prokofiev Third Concerto recording for Mercury with Byron Janis, still considered by many the greatest interpretation of that brilliant work on disc. Kondrashin's performances were bright and dramatic, tending to programmatic interpretations that commentators saw as the legacy of his theater career. He was the U.S.S.R.'s finest interpreter of Mahler, leading all the symphonies with unusual restraint and with the expressive and dramatic qualities of the music seemingly enhanced by understatement.